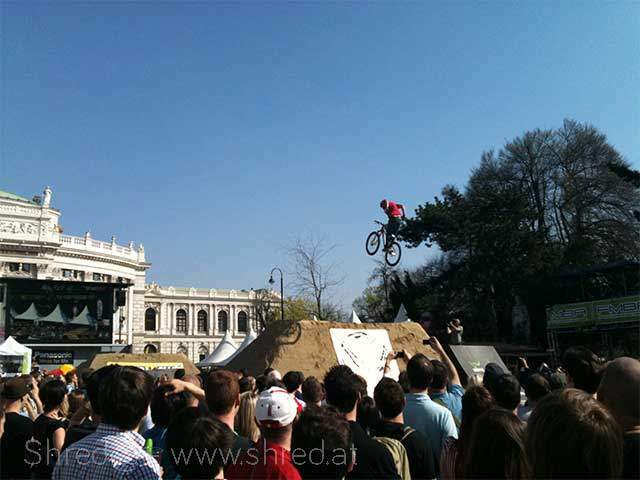 Ahhh…spring is back and with it the Viennese Bike Festival and its Vienna Air King Dirt-Contest. 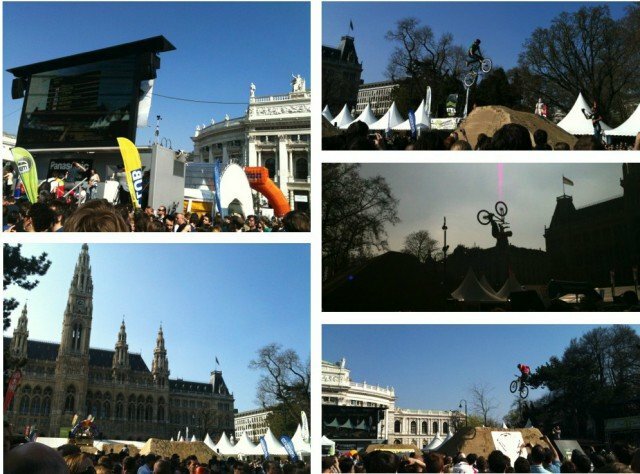 The event kind of marks the beginning of the bike season…the City Hall Square fills with tons of soil that eventually gets shaped into ramps for the event. If you need to pimp up your bike gear check out the bike shop & brand booths next to the Dirt Park.